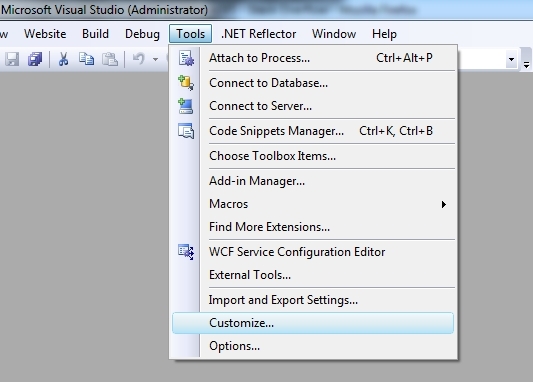 Navigate to Tools > Customize. 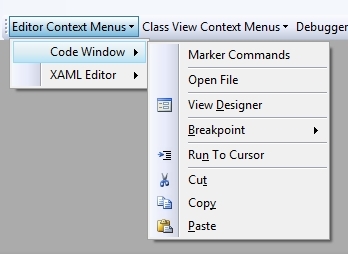 In the Toolbars tab, check the Context Menus checkbox to reveal a toolbar above with various context menus. 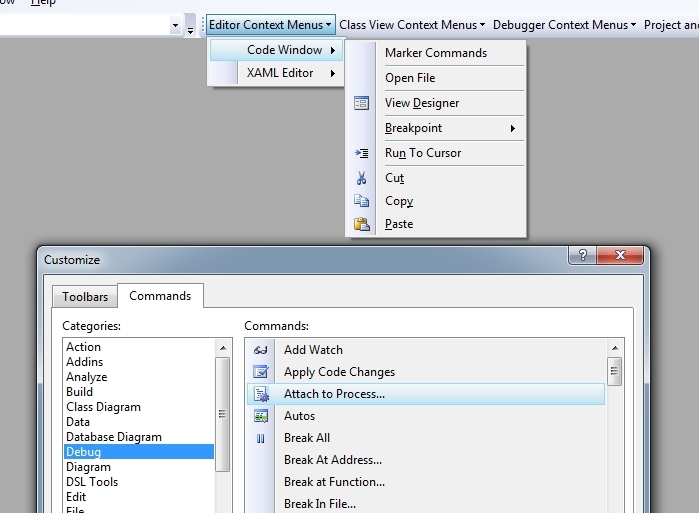 Back in the Customize window, click the Commands tab and navigate to Debug > Attach to Process. 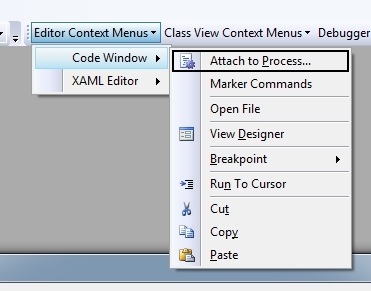 Now drag the Attach to Process command from the window up to the toolbar and drop it where you want it to show. Once you finish customizing, when you write some code you can easily right click within the CodeBehind and click Attach to Process. 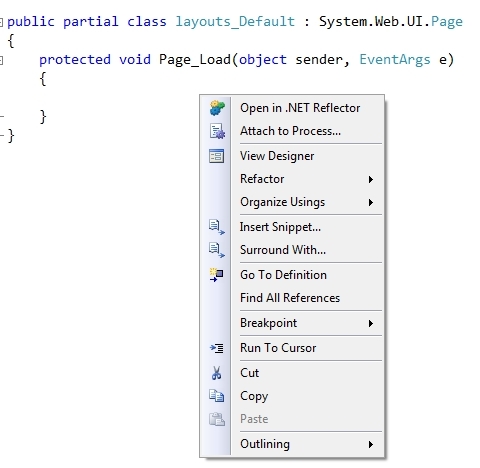 This might not be the biggest improvement but it will save you a click or two, especially if you debug often. Good tip but you can also press ctrl + alt + P.